It was 1968. I was 13 at the time when Israeli soldiers surrounded our neighbors’ house in Bethlehem. The Shawria family was given a few hours to take their belongings before military engineers rigged up the house with explosives and blew it up. I remember that day especially because my younger sister Grace cried all night after witnessing the explosion. Last week I was driving in East Jerusalem with my wife, who asked me to stop by the neighborhood of Wadi Jooz, where she grew up. She showed me where she lived and the local store, then where the Namari home was blown up by Israel shortly after the occupation began in 1967. The plot where the house once stood is still not rebuilt. The rubble remains some 50 years later, and my wife vividly remembers the day her neighbors’ house was demolished. I recall these memories after Israeli military engineers blew up, for the third time, the home of Um Nasser Abu Humeid in the Amari refugee camp near Ramallah earlier this month. The Israelis accuse her son of having carried out an attack against settlers living illegally in the West Bank. No court has yet ruled on the case. Home demolitions have been a continuous form of Israeli collective punishment since 1967. The supposed aim is deterrence, but international law and specifically the 1949 Fourth Geneva Convention — which was created to deal with cases of prolonged military occupation — consider such demolitions a war crime. However, Israel does not recognize the convention as applicable to the occupied Palestinian territories. But the Oslo Accords, which Israel signed in 1993 with the Palestine Liberation Organization (PLO), specifically forbids Israeli troops from entering Area A, which is supposed to be under the administrative and security control of the Palestinian Authority (PA). Israel has long abandoned any respect for this part of the agreement, while restricting Palestinians from developing the 60 percent of the West Bank that is declared as Area C, which is under Israeli security and administrative control. The house demolished on Dec. 14 is in Area A and 2 km from the Palestinian president’s headquarters. According to the UN Office for the Coordination of Human Rights (OCHA), since 2009 Israel has demolished 5,769 Palestinian structures in the West Bank. In 2018 alone, 452 structures were demolished, among them 57 financed by international donors. Home demolitions have been a continuous form of Israeli collective punishment since 1967. 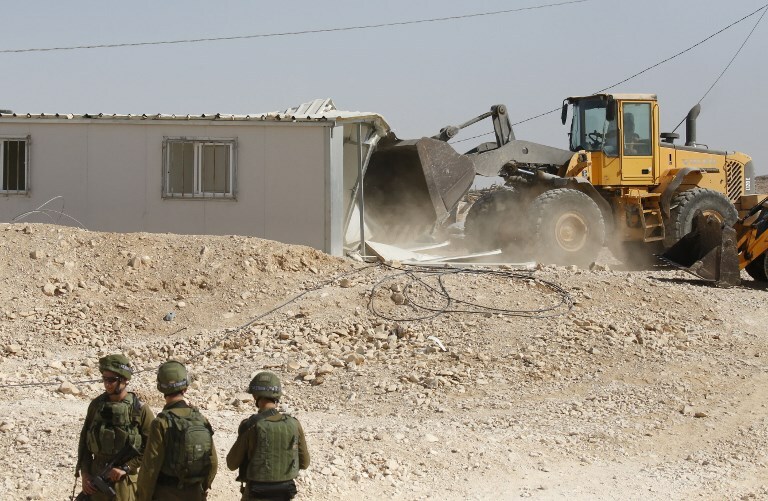 Even the Israeli military has asked that home demolitions be stopped. A military committee appointed by Israeli Army Chief of Staff Moshe Ya’alon and headed by Maj. Gen. Udi Shani concluded in 2005 that “no effective deterrence was proven” when homes were demolished. There is clearly no credible security argument for home demolitions. But the fact that my sister and my wife still vividly and angrily remember what happened decades ago is a clear sign that these actions leave a painful scar on the entire community. Demolishing Palestinian homes has nothing to do with security or deterrence. Meanwhile, Israel is looking into another form of collective punishment. Its Parliament has passed in the first reading a law that will allow the deportation of Israeli families of Palestinians accused of violently attacking Israelis. This will not work either. Peace based on justice and fairness is the only solution, not more war crimes and collective punishment.